Legendary American missionary strategist Ralph D. Winter always provoked strong reactions, one way or another. The U.S. Center for World Mission and William Carey Library are bringing us an important biography, The Ralph D. Winter Story: How One Man Dared to Shake Up World Missions (William Carey Library, 2013), by renowned author Harold Fickett. This long overdue book captures both the genius and the controversy of a self-described "social engineer," named by TIME magazine as one of the 25 Most Influential Evangelicals in America. "…by his research, training and publishing he has accelerated world evangelization." "Perhaps the most influential person in missions of the last 50 years." Ralph Dana Winter (December 8, 1924 - May 20, 2009) was an American missiologist and Presbyterian missionary who became well-known as the advocate for pioneer outreach among unreached people groups. He was the founder of the U.S. Center for World Mission (USCWM), William Carey International University, and the International Society for Frontier Missiology. His 1974 presentation at the Congress for World Evangelization in Lausanne, Switzerland—an event organized by American evangelist Billy Graham—was a watershed moment for global mission. It was during this presentation that Winter shifted global mission strategy from a focus on political boundaries to a focus on distinct people groups. Winter argued that instead of targeting countries, mission agencies needed to target the thousands of people groups worldwide, over half of which have not been reached with the gospel message. Billy Graham once wrote: "Ralph Winter has not only helped promote evangelism among many mission boards around the world, but by his research, training and publishing he has accelerated world evangelization." In 2005, Winter was named by TIME magazine as one of the 25 Most Influential Evangelicals in America. Dr. Ray Tallman, shortly after Winter's death, described him as "perhaps the most influential person in missions of the last 50 years and has influenced missions globally more than anyone I can think of." "There was never a time when my life and that of my late husband intersected with Ralph Winter's life that we were not confronted and challenged by his amazing thinking. Bill and Ralph were roommates at Princeton Theological Seminary and remained friends and mutual encouragers through the years of their separate ministries. This volume portrays the development of Ralph's thinking that led to his initiating the Roberta Winter Institute. In his captivating style, Harold Fickett draws his readers into Ralph's godly, productive life." "To me, Ralph Winter seemed the Renaissance man of evangelical missions. On the one hand, he was always several steps ahead of everyone else in applying creative thinking to the missionary enterprise. I once heard him described as 'the only original thinker' in the world of missions. And yet, while he was always drilling deeper into all things missionary, he nurtured an interest in many diverse subjects at the same time. His material on creation is just one example. Maybe he would say there isn't anything else… it's all one to Christ." "I remember Dr. Winter to be a missiologist of the first order. He was a pioneer thinker. He was not timid about making bold proposals for global mission that had far-reaching consequences. His writings made us grapple with issues. He established, and challenged others to establish, institutions and channels of communications to reach the unreached for the glory of God. Above all, he was a warm-hearted gentleman who brought out the best in all of us." "I learned about Ralph Winter and his insight into the whole Bible as a missionary book long before I ever met him or started reading his visionary writing. Over the years, I have been inspired by Dr. Winter firsthand and mentored by his writing, especially in the magazine Mission Frontiers. It was my unique privilege to start teaching at Wheaton College when Harold Fickett was there briefly teaching writing and was on his way to becoming a writer of renown. What a joy to see these two talents and rich legacies come together in this much-anticipated biography." "The Ralph D. Winter Story is this year's most important missions book, science book, history book, and how-to-change-the-world book! It's also a loving tribute to one of the greatest innovators and teachers of our time. 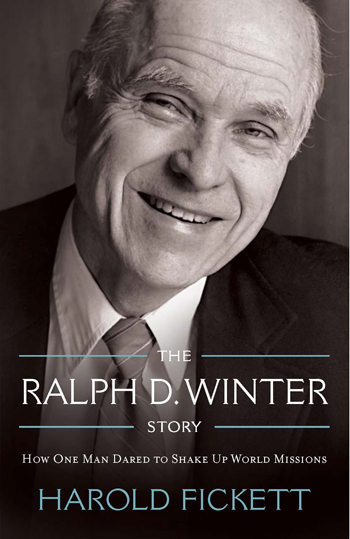 Ralph D. Winter initiated more God-glorifying ideas every decade than all the previous decades of his life combined. The most important legacy Winter wished to leave was a generation of world changers who would join Jesus Christ in destroying the works of the devil. That is the task remaining for those of us who knew Ralph Winter and those fortunate readers who will meet him in Fickett's superb book." "Dr. Winter made a substantial impact on my personal life. Mobilization materials he authored first brought the unreached to my attention. Two personal conversations with him at pivotal moments of my life informed and influenced key decisions I made. When I disagreed with him, his debates with me were always equally passionate and generous. I regret that, up to now, I have had fewer conversations with him than I would like; meeting up with him again is one of the things I look forward to in Heaven. Until you get the same chance, this book will tell you a little more about the incredibly impactful life he lived." "Ralph Winter was one of the most important and creative mission thinkers of the late 20th century. He was also a fervent supporter of the whole church taking the whole gospel to the whole world. This biography will be inspiring and challenging." "Ralph Winter's mind and heart always seemed to be running out ahead of the rest of us. Whenever I heard him speak, he expanded my vision for world missions and left me with a fresh insight or new motivation for serving Christ cross-culturally. I remember him carrying cardboard boxes filled with missions books to conferences, a tireless promoter in behalf of the church around the world. He encouraged me to write a book about the birth of the evangelical church among the Quichua peoples of Ecuador, and when it became hard to find a publisher, he instantly said, "Then we'll publish it!" And so William Carey Library did. I wonder how many hundreds, if not thousands, of other people he similarly inspired in his quiet, behind-the-scenes way." "It was my reading material on a long flight to Niger. Ralph's life has been such an example of living intentionally for the Lord, an intentionality that was missing in much of my own life. I use him as the example for that kind of life whenever I speak to young people. The contrast between his life and my own is a powerful message. Thanks so much." "Ruth and I are so grateful… What a great and impressive read it is—wonderful stories, marvelous detail… and we thought we really knew this great man, Dr. Ralph Winter, but not until now as our minds have been stretched and our view of missions has been increased with the story…"
"I read Ralph's story in a single day, which, if you knew my reading habits, is very exceptional. I felt like I had met with him! It was wonderful. Given the events of the last five years of my life, I am fully convinced of the spiritual battle we are all in." "I remember the day Ralph delivered the message at Lausanne Conference in 1974. Ralph was not so sure that the new information was accepted by some of his friends. Walter and I walked the streets in Lausanne after the speech, as he calmed down with Ralph and Roberta. He invited us into his office to suggest we start a mission in the Episcopal Church to do a 'new thing in missions.' He gave us four or five books to read. We said it would take a while for us to read all those books. He said, 'If you can't read 100 pages in an hour, there is something wrong with your thumb!" "Having known him for 40+ years and having recently read Parsons' dissertation I thought I knew my friend quite well. But here I found the pilgrimage of the inner Ralph and found I hardly knew him! Thank you for your generosity." "Ralph's life and mission continues to guide the modern Protestant mission Centerpiece. Thanks for this great contribution, too!" "Thank you for the book. Thank you most heartily for the book! It's probably the most important book I've ever read, outside the Bible. It certainly is, for me, a 'page-turner.' Being mentioned here reinforced my early resolve to give a copy of the book to each of my grandchildren!" "I just finished the marvelous bio of Ralph's life and work… I enjoyed the book immensely. It brought to the fore many happy memories… meeting with him and Bob Blincoe in 1976 while Bob and I were at Fuller. I thought Dr. Winter was something of a nut-case. For some reason I attended a breakfast at the Center in the early 80's when youth pastor at La Crescenta Presbyterian. Ralph presented the vision for the Center and I was arrested, captured, and never released. Judy and I sent in our $15.95 donations and joined the wild ride of securing the campus. We moved to a church in Yakima, Washington and spread the vision with The Last 1000 campaign, 2 Perspectives courses—and a life change. Moving to the USCWM for 6 glorious years of almost daily contact with Ralph, my faith was forever changed—not just my ministry and location. Ralph's insights into Kingdom Theology and intelligent evil design have significantly influenced my ministry and message." Harold Fickett is the author of novels, biographies, and works of spirituality, including The Holy Fool, The Living Christ, Dancing with the Divine, and The Ralph D. Winter Story. 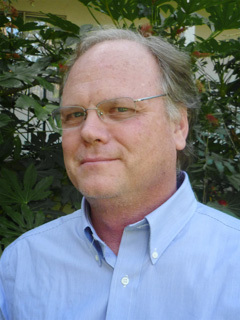 He was a co-founder of the journal Image and is a contributing editor of Godspy (www.godspy.com), where he writes columns on world Christianity and spirituality. Fickett has written for The National Review, Crisis, Christianity & Literature, Decision, The World & I, Publishers Weekly, The New Oxford Review, Books & Culture, Leadership, and Christianity Today. Concerning Ralph D. Winter, Fickett says: "He was highly idiosyncratic, which could drive others crazy, but for me that twinkle that came into his eye when he encountered life's absurdity and made a quick joke that you'd miss if you weren't on your toes more than compensated for his at-times abrupt manner. Unlike almost every other Christian leader with whom I've worked—and I've known my share—he didn't pretend to be interested in you; he actually was interested, because God's drama engaged him far more than his own part in it." To schedule an interview with Harold Fickett, please contact Stan Guthrie at guthsc@att.net. Based in Pasadena near the campus of the U.S. Center for World Mission, William Carey Library publishes and distributes books and other materials used to mobilize individuals and organizations in world mission. 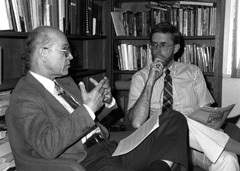 Founded in 1969 to publish, at reasonable cost, the best in current thinking on world mission, William Carey Library has especially sought to assist the work of the field missionary and his/her home church, the student and teacher of world mission, and the mission executive. Like the U.S. Center's own focus, William Carey Library concentrates its efforts in publishing work regarding frontier areas—those areas of the world that require cross-cultural engagement in difficult environments. In publishing, William Carey Library has allowed small print runs of valuable books that other publishers might not find attractive or feasible, because the story needs to be told. In distribution, William Carey Library has sought to distribute at low cost not only its own books, but selected mission resources from other publishers and from sending agencies. Founded in 1976, the U.S. Center for World Mission (USCWM) has sought to foster cooperation between organizations focused on the world's unreached peoples. Not only is William Carey Library a cooperating agency at the USCWM, but for many years William Carey Library and the USCWM have enjoyed a management partnership in which William Carey Library has published or distributed many of the key resources the USCWM has promoted. For more information about the book please visit our Press Section. © 2012 William Carey Library Publishers. All Rights Reserved.